Armina LaManna's play is currently in development and is slated to open in 2017/18. 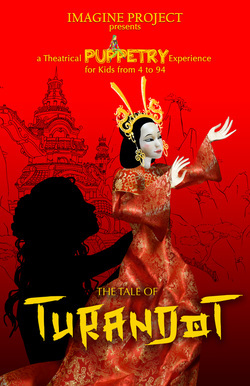 This theatrical puppetry experience was inspired in part by Japanese Bunraku. The puppets and masks will be designed by Philadelphia's Aaron Cromie - a masterful storyteller and designer. ​for the OC-Centric New Play Festival in Orange County, CA. Dedicated to spotlighting female storytellers in theatre, The Athena Initiative will provide female theatre directors and playwrights of diverse backgrounds with a platform for developing creative alliances by bringing their work to today’s audiences. In addition, the initiative forges strong bonds between artist and audience by producing work that is relevant, accessible, provocative and theatrical. Armina continues to work on screenplays, guiding protagonists and antagonists on their journeys. If you need a consult on your screenplay or play, or if you need assistance with your character development, especially that of female characters, then write to Armina at arminalamannaATmac.com. Take a look at this silly short, written by Armina in 2015.